DJ Slimzee, co-founder of Rinse FM, member of the legendary Pay As U Go Cartel, owner of the foundational Slimzos Recordings and commonly referred to as the Godfather of Grime — born in East London, raised through the ranks of pirate radio and eventually shooting to prominence alongside the likes of Dizzee Rascal and Wiley at the turn of the millennium. 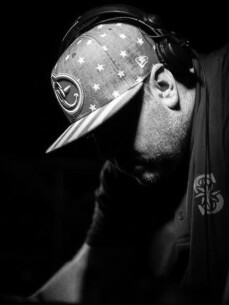 Established garage DJs handled the new sound with caution but Slimzee, an avid drum & bass fan, embraced it wholeheartedly. At first the producers could barely keep up — Slimzee stunned onlookers by spinning slowed-down D&B records to fill the gaps — but before long, wave after wave of young producers were creating beats in the hope that DJ Slimzee would play them. “Grime” was born. The very lineage of UK underground music can be traced back to specific DJ Slimzee sets: ask any grime fan to name their favourite musical moments and you can bet your house on his name being mentioned. Some of the most iconic tracks of the 2000s — including Youngstar’s era-defining Pulse X — were discovered and forced into the public consciousness by Slimzee.